This is a private tour. During this Chiang Mai highlights tour you will visit some of Chiang Mai’s most popular sights such as Wat Chedi Luang, Wat Prathat Doi Suthep and the Warorot and Ton Lamyai markets. You will also visit Wat Ket Karaam and learn about the history of the Wat Ket area, the first neighbourhood where westerners settled in the late 19th century. Wat Ket Karaam houses a small museum that houses interesting exhibits and old photographs of Chiang Mai. 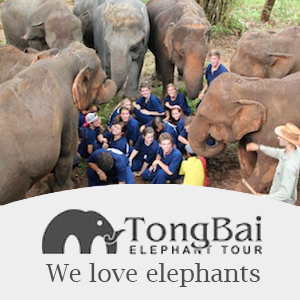 Our tour is just a bit different and more in-depth than most Chiang Mai highlight tours. As this is a private tour any personal requests and/interests can be accommodated. We love Chiang Mai! 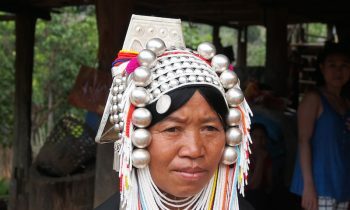 Your guide and driver will meet you at the hotel for your Chiang Mai Historical Tour. Today we will focus on the history of Chiang Mai. We will drive to the Ping River which was the an important transportation route before the railroad from Bangkok reached Chiang Mai in 1922. We will cross the famous Iron Bridge where we will stop briefly. From here we will walk along the Ping River to one of Chiang Mai’s oldest hotels and the first Christian Church of the city, founded in 1868. We will continue to Wat Ket, a temple that houses a remarkable small museum with lots of historical photos of Chiang Mai and interesting artefacts. We cross the Chansom Memorial Bridge to the most famous markets of Chiang Mai, the adjoining Warorot and Ton Lamyai markets. You will hear the story of the devastating fire that destroyed the markets in 1968. Close to the markets is a Chinese temple that we will visit. By now it is time for lunch. We will take you to a riverside restaurant where you will enjoy a delicious Thai lunch. After lunch we will drive through Thapae Road to Thapae Gate where we will enter the Old City. Here we will visit the spectacular Wat Chedi Luang. The temple dates back to the 14th century. It’s chedi, or stupa, collapsed in 1545. For more than 400 years it remained in ruined state until it was reconstructed in the 1990’s. Wat Phra Singh is our next stop. 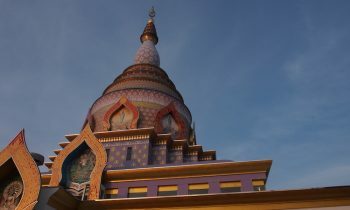 It is one of most revered temples in North Thailand. You can meet a Buddhist monk, if you wish. From Wat Phra Singh we drive up to Doi Suthep, a 1600-meter high mountain towering over Chiang Mai. Visit Wat Phra That Doi Suthep, a beautiful temple from which you have a fantastic view over the city. Your guide will tell you about the history of the temple and about Kruba Srivichai, the monk whose followers constructed to the road to the temple. The road was finished in 1935. Return to your hotel in the late afternoon after an unforgettable Chiang Mai Historical Tour. If time allows we will stop on the way down at the small forest temple Wat Palan that sees few visitors. 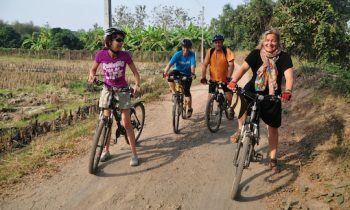 We will drop you off at your hotel after our Chiang Mai Historical Tour. As you will be visiting many Buddhist temples today we recommend long trousers and shirts that cover the shoulders.